Lots of new Electrocompaniet kit expected in Munich | What Hi-Fi? There'll be an unprecedented flurry of activity from the Norwegian specialist at the Munich High End Show. Electrocompaniet is showing off a range of new products at the Munich High End Show this year: the Rena S-1, Rena SA-1 (pictured above), Sira L-1 and ECM 1. Let's start with the Rena S-1 and SA-1. They're music streamers, built to "provide a way to connect directly to your existing amplifier whilst still having the possibility to add wireless speakers", according to Electrocompaniet. What distinguishes the S-1 from the SA-1 is that latter has a built-in amplifier and high-resolution audio processing. The Sira L-1, meanwhile, is the first subwoofer in the company's EC Living series, apparently adding "even more punch, drive and palpability" - hopefully the product's performance will match its PR. 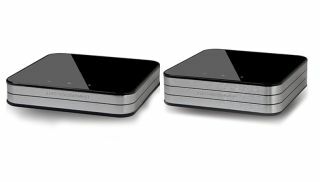 The ECM 1 is a streamer and player for lossless, DSD and high-resolution digital content, as well as streaming from Tidal, Spotify and Qobuz (or an AirPlay or DLNA connection). This is alongside accessing any of your own music you may have stored on your network. The Rena S-1 is priced at €600 (approx. £500) while the Rena SA-1 is €800 (approx. £670). The other products won't be getting prices until the show next week.